Harmonix had high hopes to bring Rock Band 4 to PC, launching a $1.5 million dollar crowdfunding campaign via Fig, the Kickstarter-like with a focus on big investment over fan-pleasing. Sadly, it’s made just $792,000 and change in its time on the platform and the project won’t be continuing. 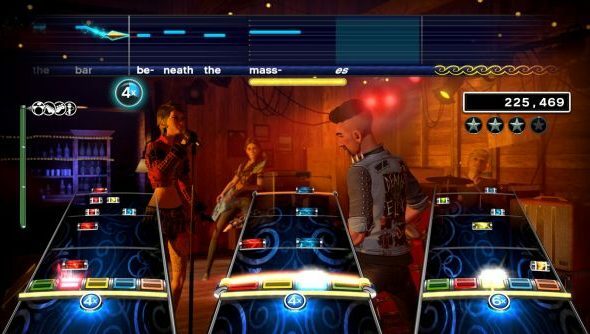 In a follow-up statement, Harmonix have said that while it’s a possible future avenue, they won’t be pursuing Rock Band PC in the near-term. A shame not to see Rock Band head our way, but we’re already looking at a bumper list of the best games of 2016. Their parting post is filled with wisdom about what they did, why, when and what went wrong. In the end, it comes down to them using crowdfunding as it was meant – to test the waters for an idea – and discovering that the audience on PC that they would require to commit to a port just isn’t there. They’ll go back to improving Rock Band 4 on consoles, and are fully committed to continued support there. They also respond to a large number of common community concerns regarding timing and money required. Their basic defense for their decisions is that, no matter what we hordes of outsiders may think, that’s reality. It takes a long time to prep a crowdfunding campaign for a project of this magnitude, and it takes a stunning amount of money to port a game like this from one platform to another, especially when you’re adding features. Things have also changed since the days Harmonix was owned by large corporations who could provide the funds. It’s well worth reading the full thing if you’re interested in the work that goes into games development and crowdfunding, as well as the realities of scoping, prediction and budgets. No details on what Harmonix is working on now, natch, but hopefully a PC version is being considered.